Why You Should Take HDFC Credila Student Loan? HDFC Credila is a subsidiary of HDFC Ltd. Co. and India’s first dedicated education loan lender. With extensive research, specialized focus and in-depth understanding of student’s needs, HDFC Credila offers customized education loans to aspiring students who want to realize their dream of higher education in India and abroad. With the rise in the cost of higher education, it is very difficult for the average middle-class Indian parents to afford their child’s education. Hence, HDFC Credila has come up with the following finance solutions to help you fulfill your education ambitions in the universities of your choice. HDFC Credila has customized products for various courses, such as MS, MBBS, clinical research and full & Executive MBA programs and various different types of courses. Education loan for AICTE and non-AICTE approved courses. 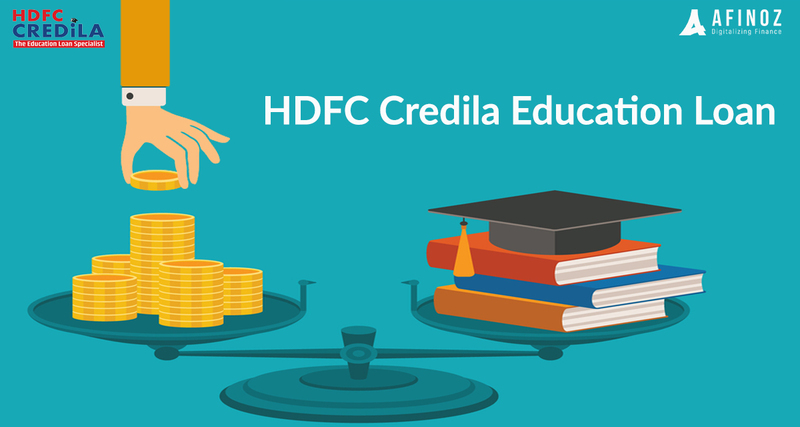 HDFC Credila offers an education loan to cover up to 100% of the course fees and also living costs in India. There is no upper limit of its loan amount. You can apply for Credila education loan even before you get your admission confirmed. The attractive benefits under Section 80-E of Income Tax Act make getting education loan a wise choice over personal finance of education. Most ambitious Indian students want to study in the USA. But planning for funds for studies in the USA is a critical part. This is when HDFC Credila can help you – from loan evaluation to providing loan sanctions and solvency letters. With HDFC Credila, you can evaluate the loan amount even before the admission is confirmed. This helps you estimate the amount predictably. HDFC Credila’s pre-admission loan evaluation and approval help you show proof of funds to universities. No upper limit on the approved loan amount. Every year, HDFC Credila funds thousands of students to study in the USA. The bank offers unsecured education loan to selected courses in the US. It also helps you transfer your money to your college/ university account in dollars. The interest is charged only after the admission is confirmed and the loan is disbursed. Indian students are increasingly choosing to study abroad for post-graduation. Apart from the USA, India’s most popular destinations to study abroad are U.K., Australia, Germany, France, Singapore, Canada, and Dubai. The cost to study in these countries varies according to course, duration, university and the cost of living in the country. HDFC Credila has customized loan solutions for each country to help bright students to pursue their higher education in these countries. The customized financing has made HDFC Credila education loan highly preferred loan provider of students studying in over 100+ institutes, across the globe. Age: Minimum age of the candidate for a student loan at the time of loan application should be 18 years. Both the applicant and the co-applicant(s) should fulfill the credit and underwriting guidelines of HDFC Credila. The co-applicant must be an immediate family member of the student such as father, mother, sister, brother, and spouse (if the candidate is married). If the above-mentioned family members are not able to put up collateral, then the applicant's father-in-law, mother-in-law, first cousin, maternal or paternal uncle/aunt/ grandparents can provide collateral, if needed. The co-applicant must submit a valid document to establish their relationship with the applicant. You can put up all the relevant documents of immovable property (Flat, House, Non-Agriculture Land) (from the following list) as collateral if required. Maximum Loan Amount: Credila doesn’t have an upper limit on the loan. The Maximum loan amount is subject to the case meeting HDFC Credila's credit and underwriting norms as applicable from time to time. HDFC Credila offers floating interest rate linked to HDFC Credila’s Benchmark Lending Rate (CBLR). The maximum tenure offered by the HDFC Credial for a student loan is 12 years. The loan term, however, depends on various factors, such as the age of the applicant, repayment capacity, future scope of the course, and age of co-applicant etc. The repayment interest will start accruing immediately after the disbursement of the first loan installment. The monthly repayment amount will be withdrawn from the candidate's/co-applicant’s bank account using ECS (Electronic Clearing System), after the completion of study & Grace period.